The daily use of interdental brushes to clean between your teeth eliminates bad breath, keeps your mouth healthy and gives you a beautiful smile. In this post, I’ll tell you how often you should change your interdental brushes, and share the secret to making an effective dental regime part of your daily life. How often should you clean your teeth with interdental brushes? As an experienced dental hygienist, I tell my patients to use an interdental brush to clean between their teeth once a day in the evening before using a toothbrush. By doing your interdental clean before bed, it removes all of the food residue that has built up over the day. If left overnight, this food residue will turn into plaque, and then if you forget to do it the next morning, or even the next day, it will mix with saliva and turn into harmful tartar. This stuff needs to be scraped off by your dentist and can lead to more serious oral health conditions such as gum disease and cavities. Not to mention bad breath! If you can do it once a day, you’ll keep you teeth and gums healthy, and have fresh breath to boot. 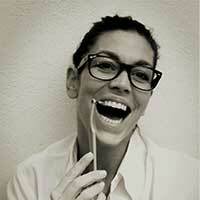 EXPERT TIP: 60% of the bacteria in your mouth live on your tongue. Use a tongue scraper to clean your tongue twice a day before brushing your teeth with a toothbrush. Studies have shown that using a tongue scraper to clean your tongue reduces bacteria production by 75%, compared with 45% when using a toothbrush to clean it. 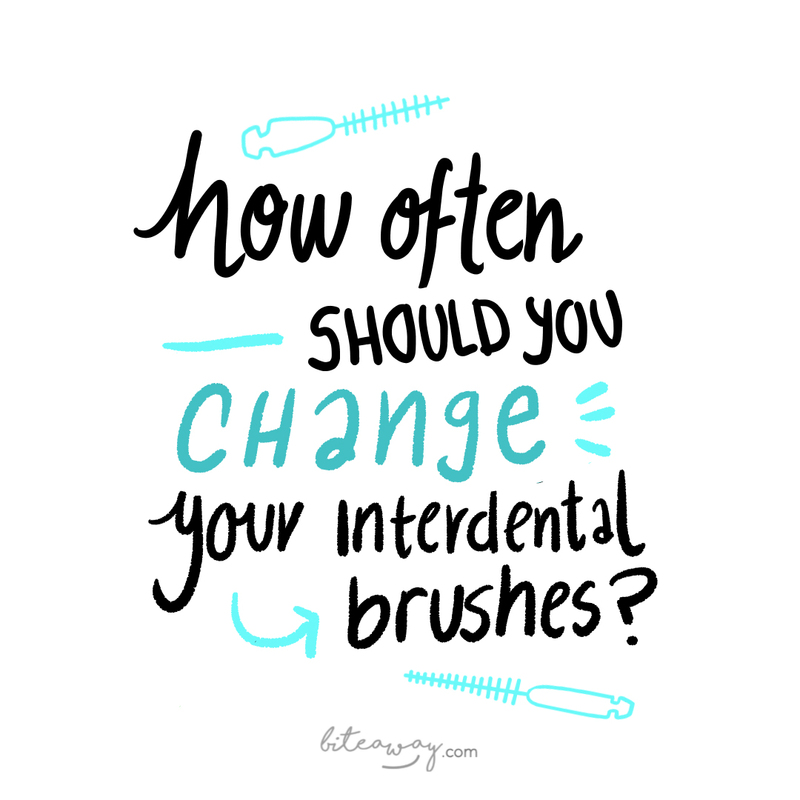 How often should you change your interdental brush? An interdental brush can be used until the bristles are worn and out of shape. However, I really don’t recommend this. For the best cleaning results, you want the brush to be in perfect shape and the bristles to be intact enough to clean all those hard to reach places. So, I tell my patients to change their brush once a week. You don’t want all that teeth cleaning diligence to be let down by a worn out brush! EXPERT TIP: Clean your interdental brush with water after every use. This removes any food residue or bacteria they may be left on it, and helps keep the bristles in the best shape. By now you are probably used to using interdental brushes to clean between your teeth. If you’re just starting out, keep at it. If you can be persistent and practice using your interdental brush for just 5 minutes a day, it will soon come naturally to you and fit in easily to your daily teeth cleaning routine. I recommend practicing in front of the mirror in privacy! Do you sometimes forget to buy your interdental brushes and end up not being able to clean the food residue and plaque from between your teeth? Well, what if you could get your brushes delivered right to your door, every month, so you’ll never forget again? Biteaway’s monthly subscription gives you a 30-day supply of Swiss-made, custom fit interdental brushes so you can keep your mouth healthy, your breath fresh and your smile beautiful.